King Felipe and Queen Letizia, who are on 5 days State Visit to United States of America, are having a busy schedule. 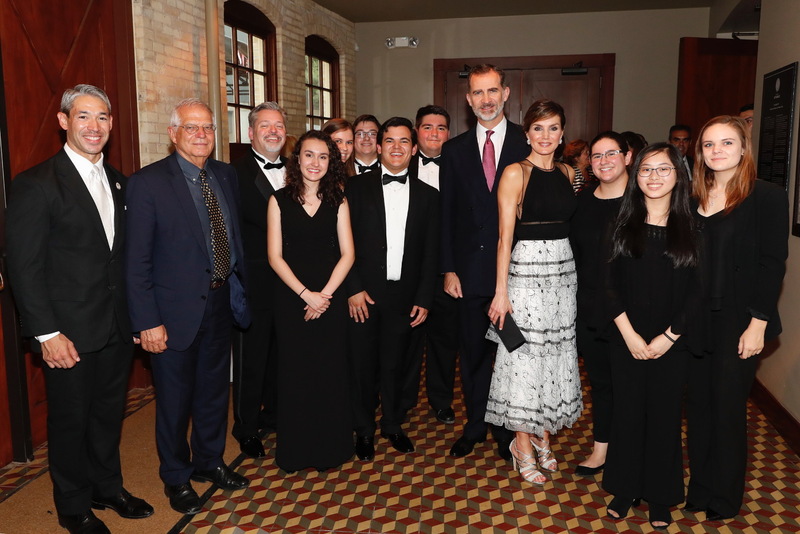 After finishing the day full of various engagements the royal couple attended official dinner gala hosted by the city of San Antonio in their honor. The gala was held at the Pearl Stable, a historical building that was the former home for the Pearl Brewery’s draft horses in the late 19th century. The Stable has been meticulously renovated to preserve the charm and integrity of the original structure that is now used to host social events. Upon arrival, The Spanish Royals were received by the Texas Government and authorities of Pearl Stable. King and Queen during the recitation of national anthems of both US and Spain. 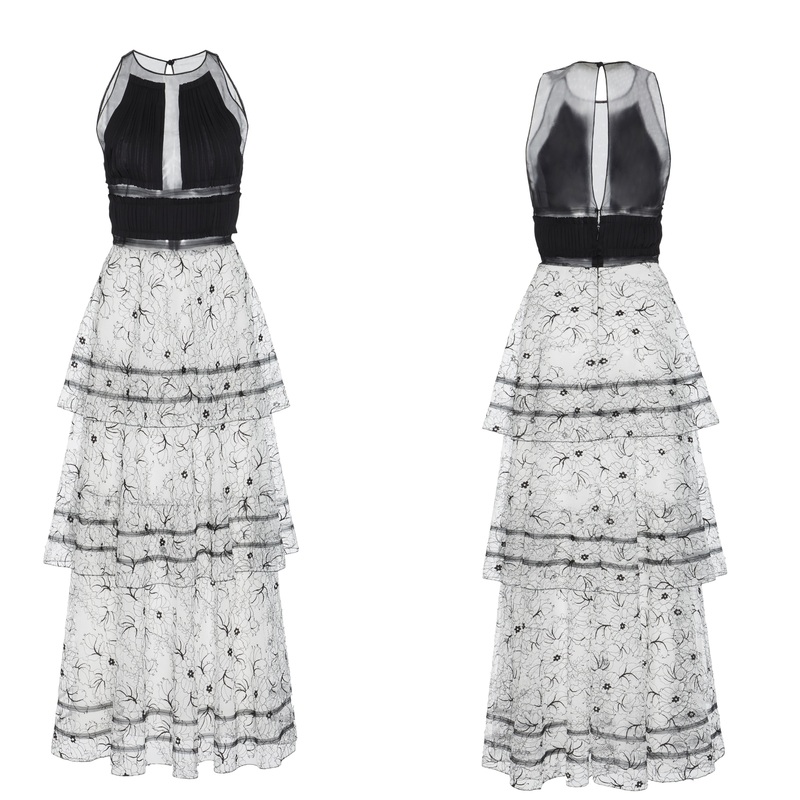 For the gala dinner, Queen Letizia wore Carolina Herrera black and white Sleeveless Floral Lace Tiered Dress. Thanks to the @HeavenQRF on twitter for quick id. 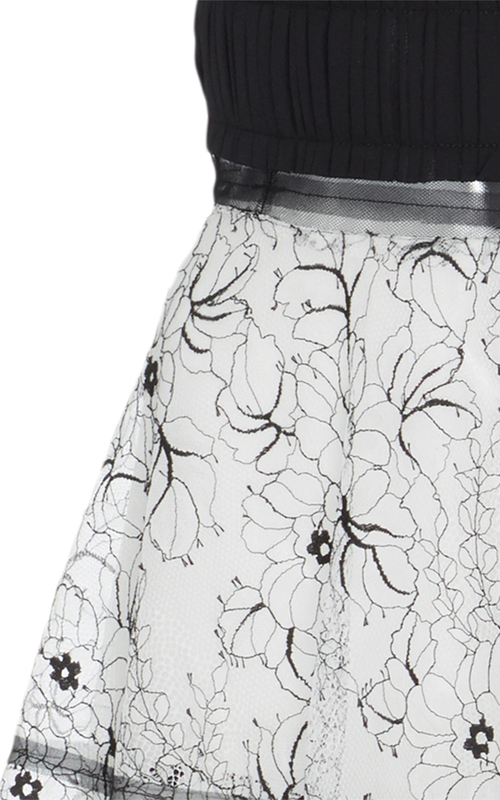 This Carolina Herrera dress features black sheer bodice with round neckline, a sleeveless A-line silhouette, and a tiered white floral embroidered lace skirt. The front panel of Queen’s dress was modified with complete lining removing the sheer part of the original dress. The dress belongs to the label’s 2017 Ready-to-Wear Collection. A closer look at the design. 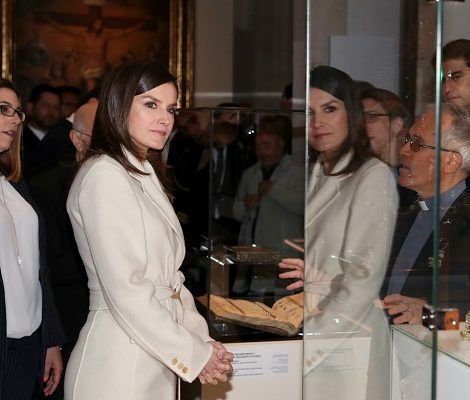 Letizia paired the dress with her Magrit ‘Hera’ silver metallic sandals and carried Felipe Varela black satin clutch. The 45-year old Spanish Queen finished her look with ‘Joyas de pasar’ diamond chanton earrings and ‘Joyas de pasar’ diamond bracelet. Monday is another busy day for Felipe and Letizia in San Antonio before Tuesday when they will travel to Washington DC to meet the President of United States Donald Trump and First Lady Melania Trump.